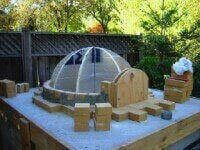 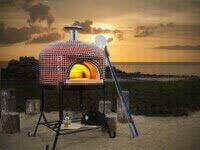 Professionale OK Commercial Pizza Oven Kit Starts at $4250. 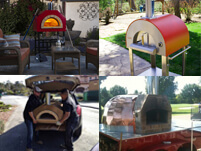 The Professionale OK commercial pizza oven kit is UL certified for indoor and outdoor restaurants and pizzerias. 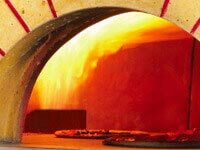 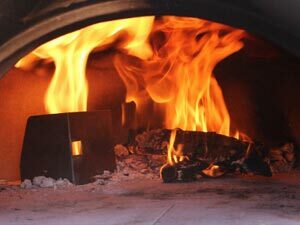 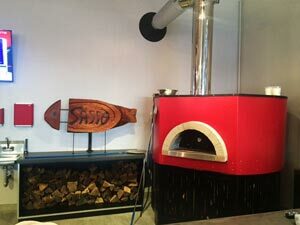 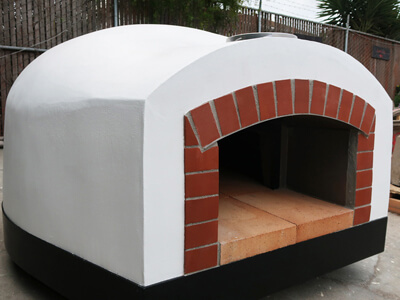 A small to mid-size commercial pizza oven designed for smaller restaurants, pizzerias, and cafes, as well as larger restaurants looking for a wood or gas-fired commercial pizza oven to complement other cooking equipment. 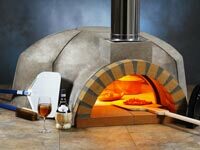 The Professionale OK commercial gas or wood fired pizza oven kit provides everything you need to assemble a pizza oven core including insulation. 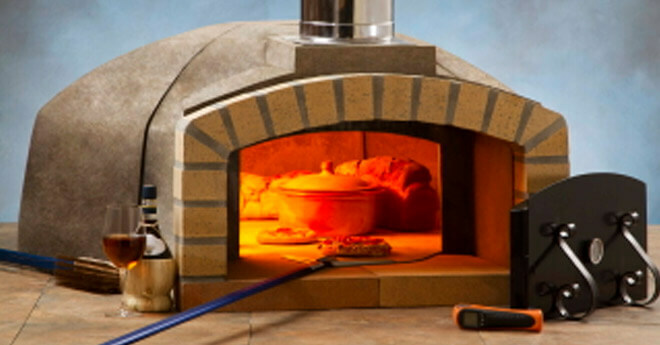 Each piece of the Professionale OK oven kit can be carried by two people through a standard door, making access and installation easy. 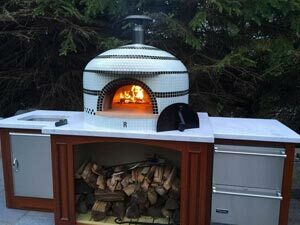 The Professionale OK oven kit is most popular with pizzerias who want a custom oven built on site, have access issues where assembled ovens can’t fit, or an entrepreneur who is handy that can build the pizza oven on site and save capital. 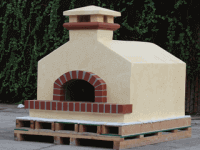 If you are looking for a factory assembled option, visit our Fully Assembled Ovens page. 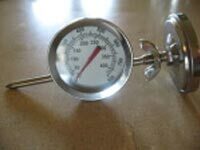 Double wall insulated steel door with a built-in thermometer. 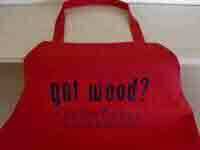 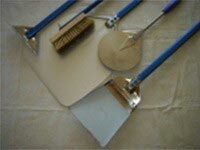 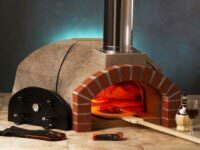 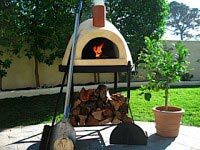 Pizza oven tools and accessories. 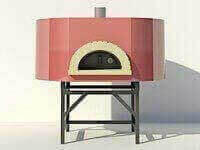 Like all Forno Bravo commercial gas or wood fired pizza ovens, the Professionale OK oven kits are designed with optimal proportions, including the perfect Oven Dome Height and Oven Opening Size for baking serious Vera Pizza Napoletana. 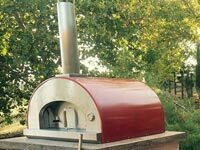 An interlocking dome design with a mono-block vent — and with fewer, tighter seams, the Professionale OK commercial pizza oven kit offers outstanding heat retention, cooking performance, and durability. 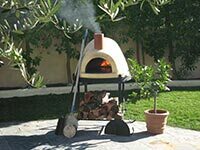 The gas fired version of the Professionale OK commercial pizza oven kit provides a high heat, high throughput, pizza baking experience that accurately replicates a true wood fire. 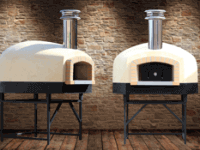 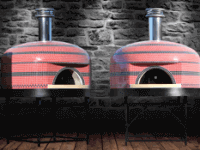 These ovens can operate in both gas-only and gas/wood modes. 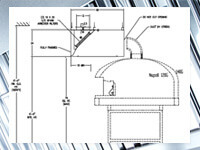 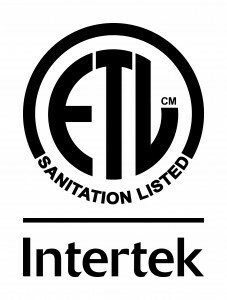 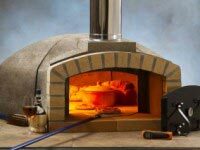 All Professionale ovens can be vented three ways, including directly with a connected UL103HT chimney system or grease duct vent, or indirectly with a UL Listed Type 1 Hood. 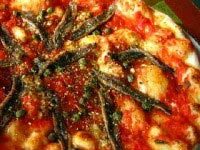 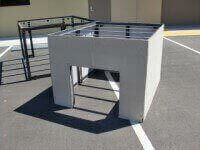 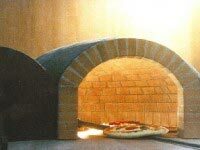 The Professionale OK oven core is used to manufacture several of our commercial pizza ovens. 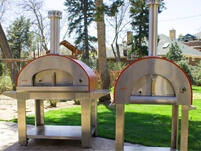 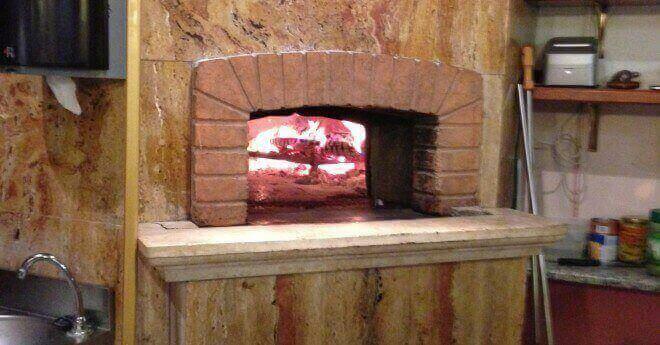 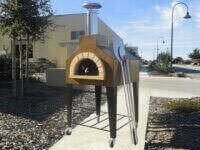 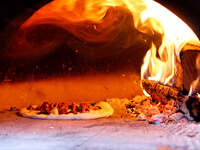 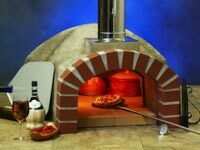 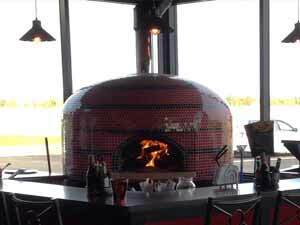 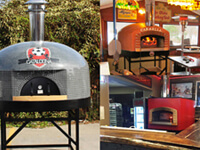 Check out the Professionale FA and Roma pizza ovens. 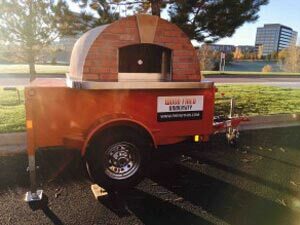 The Professionale also has a Trailer Edition for mobile pizza trailers and food trucks. 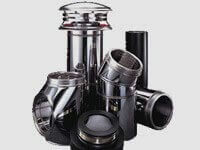 If you are interested, we suggest you email or call us and speak with a specialist. 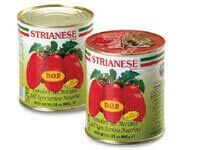 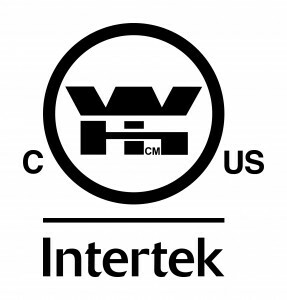 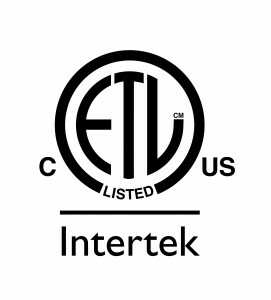 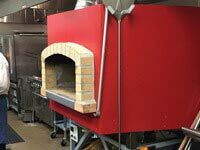 Professionale ovens are UL737, UL2162, NSF/ANSI-4, ANSI Z83.11a and CAN/CGA-1.8 DUAL for Wood-Fired Ovens and Gas-Fired Ovens for Restaurant Use in the United States and Canada. 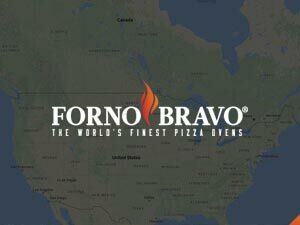 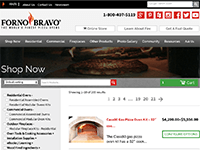 Check out the Forno Bravo gas burner system. 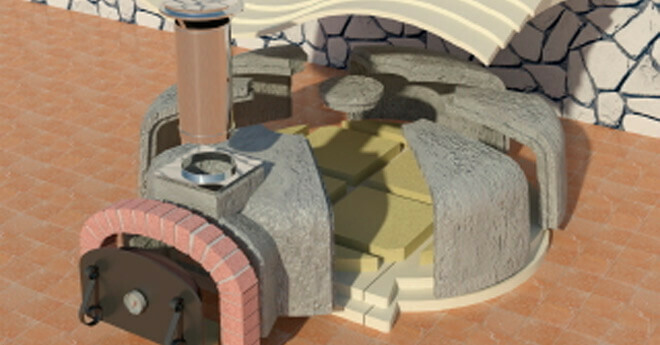 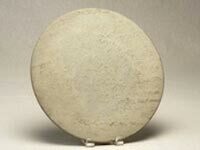 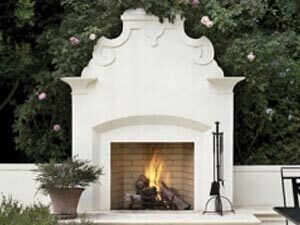 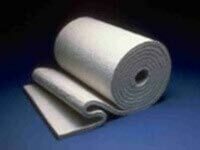 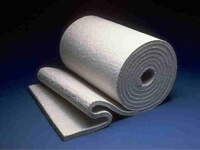 Read more about our the ultra-premium castable refractory materials and space age insulation. 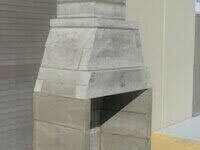 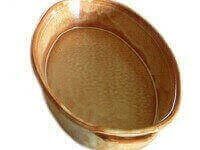 You can also read our announcement introducing the 3rd Generation of FB Castable. 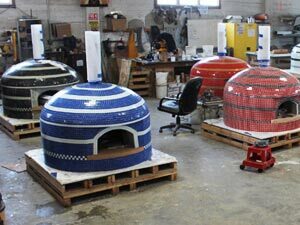 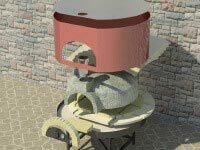 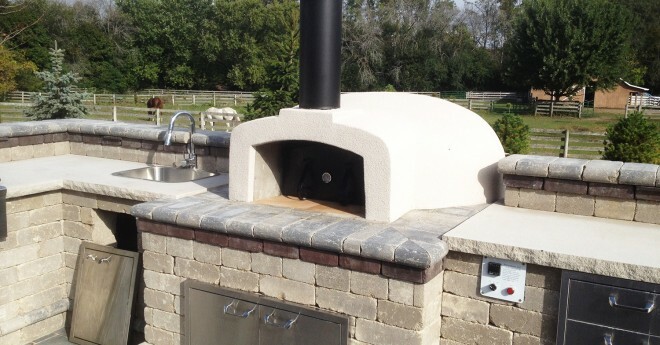 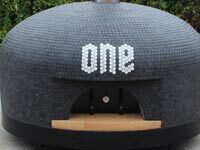 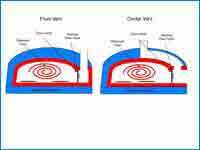 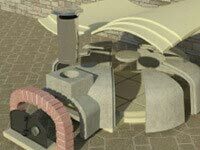 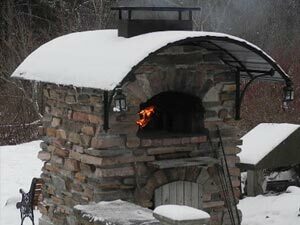 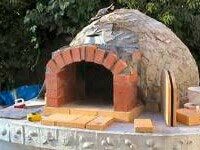 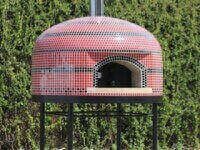 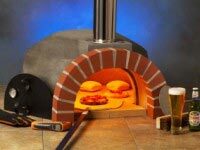 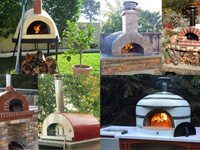 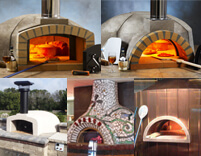 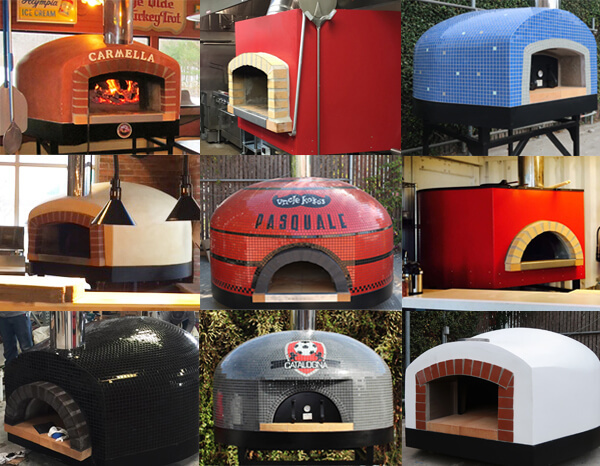 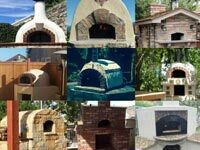 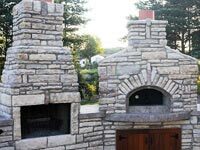 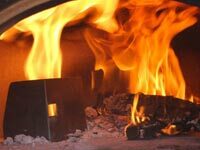 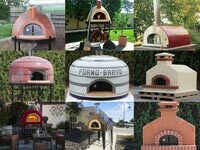 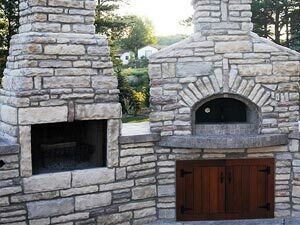 To see what your finished pizza oven could look like, click on our commercial pizza oven Photograph Journal.